I have had a GitHub account (see here for all repos) for some time but have never really done anything with it. That changed today. I plan to publish more and also contribute to other people’s code in the future. I created my first repository and uploaded the code for a MVC .Net Q&A application. 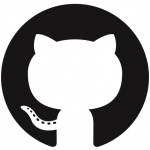 You can see the repo here – https://github.com/stevenwoolston/MVCForum.